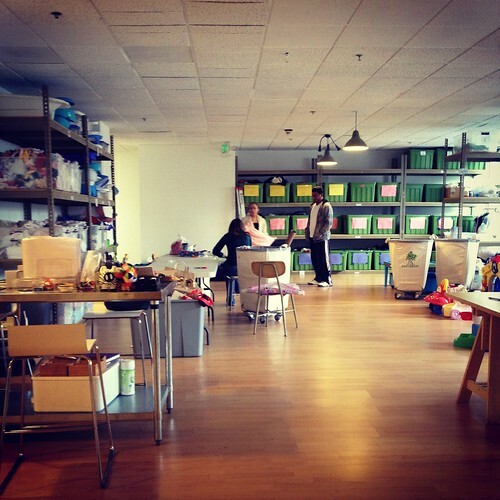 A few weeks back I had the pleasure of being introduced to Baby2Baby, a non-profit started by three mom-friends here in LA, who after watching their children grow out of the baby phase, found that they had tons of gear and didn't know how/where to donate it. 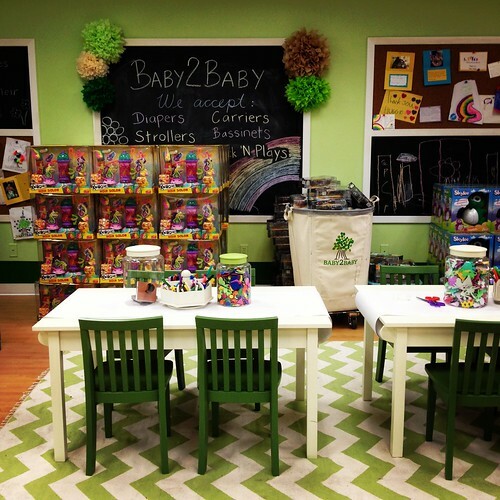 I learned about Baby2Baby through Honest because, as you may or may not know, Honest is a B Corp (socially minded company) who works in partnership with Baby2Baby, AKA they donate time, money, and product to Baby2Baby throughout the year as part of their "Honest 2 Goodness" initiative. Baby2Baby supplies Los Angeles families in need with essential baby gear and clothing for their children up to age 12. 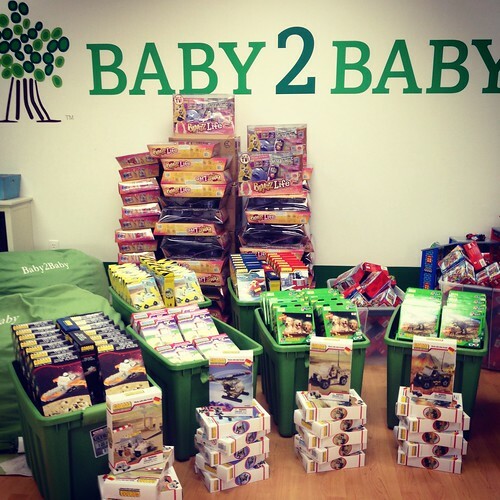 By distributing new and gently used items to over 40 non-profit organizations including homeless and domestic violence shelters, Head Start programs and hospitals, Baby2Baby serves over 50,000 children each year. I had the pleasure of meeting some of the volunteers when I came in to visit Baby2Baby a few weeks back. This is Amanda who explained to me that most of what she does is "sort" but on this particular day she was wrapping Christmas gifts. Hi, Amanda! 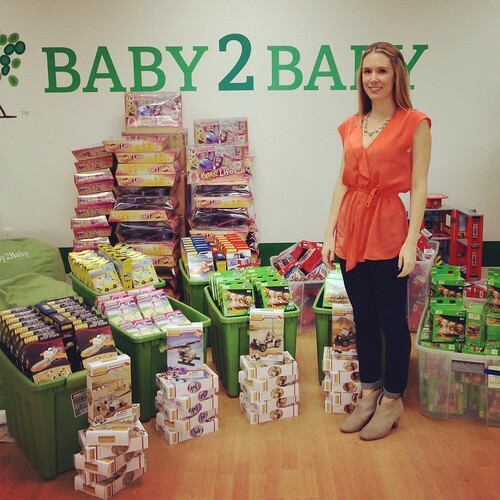 "We rely on the help of our volunteers to sort, organize, and prepare donations for the families our partner organizations serve—we couldn't do it without them," explained Baby2Baby Program Director, Jacqui Khastoo. 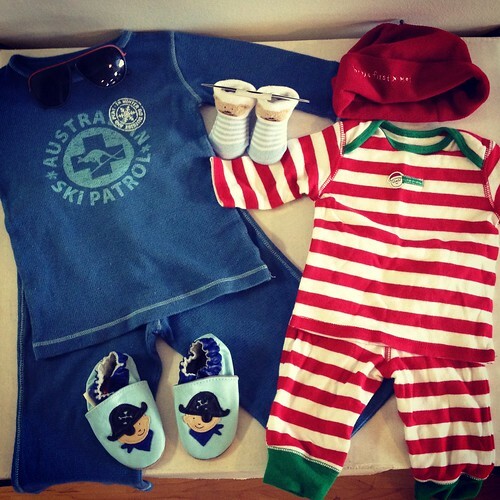 ED: For those who live in LA, I HIGHLY recommend donating your (gently used) baby items of yesteryear to Baby2Baby. 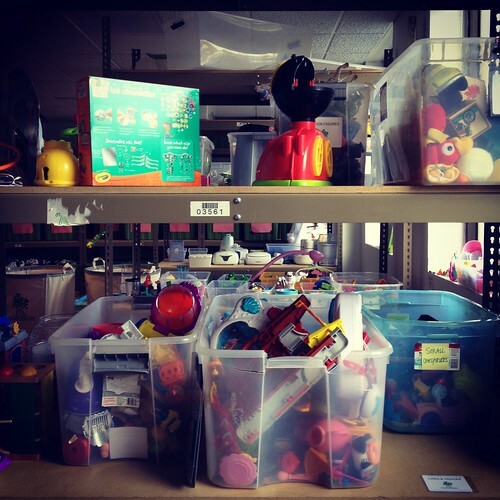 It's super easy to drop your stuff at their Wilshire location and unlike Goodwill, who will turn away toys and plastics, Baby2Baby will take EVERYTHING. I was also told they are desperate for strollers so if you have a stroller you no longer need and you're in LA please consider donating it, here. Thanks! GGC: Can you tell me why you started Honest? Will it take us longer to become profitable? Yes. But it will be worth it. GGC: Why was it important to have a charitable aspect to Honest? Jessica: I think it's important for every business to have a charitable aspect, especially businesses directed to families. It's our responsibility to give back. So it's a part of our DNA as a company—when you build a company from the ground up, you get to incorporate that into every aspect of your business model. Honest is about giving every child and family access to the safest and best in baby and family products. GGC: Can you tell me a little bit about why you chose Baby2Baby to be your current charitable partner? Jessica: I've worked with a lot of non-profits over the years, and I love Baby2Baby because they have very little overhead. Most non-profits spend a huge amount of money trying to raise money, host expensive galas, support large staffs. Baby2Baby is really truly serving families and that's important to us—that the proceeds are going back into the community, that the money we raise and products we donate are going directly to the people we're working to serve. GGC: Baby2Baby is a local Los Angeles organization. What about communities outside of LA? Jessica: Yes. 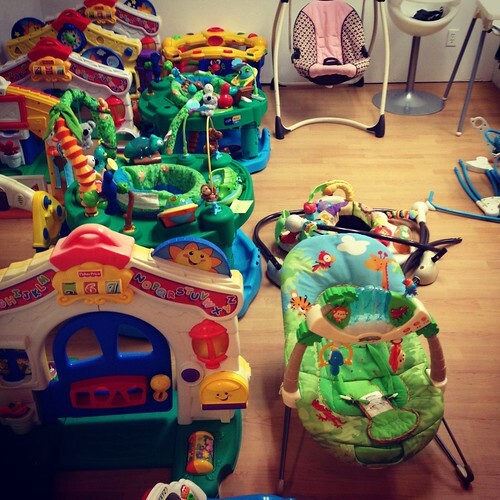 We're working with a lot of really smart women to expand Baby2Baby outside of LA. It will stay rooted in Los Angeles, of course, because that is our community, but taking it national is a priority. In the meanwhile, Honest is also working to connect with other national charities like The March of Dimes to start helping other underserved communities that we have not yet reached. Ultimately, we hope to reach everyone and truly make a lasting difference. GGC: I love that Honest staff, as part of their job description, volunteers their time — that community service is part of the job. 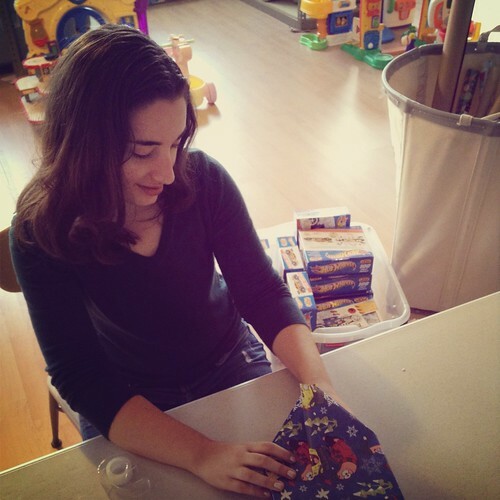 (ED: Staff members regularly take time off from work to volunteer within the community. Awesome, right?) 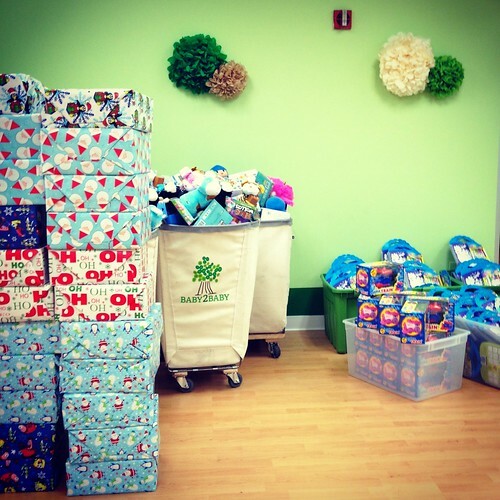 How do you manage to keep a business going while also donating so many work hours to help the community? Jessica: Our values are a huge part of who we are and our employees and their actions reflect that. When we hired, we were looking for passionate people above all else. Experience mattered, too, but to be honest, it was the passion that hooked us. We wanted our team to be passionate—about their families, their community, the environment...our future. This is a company defined by passion, values, and giving back. GGC: How has your relationship with Baby2Baby impacted your work at Honest? Jessica: Our mission is to to try to create a healthier environment for children. Baby2Baby reminds us not to take what we have for granted. It reminds us to be thoughtful in our growth and practices and in branding and running the company. 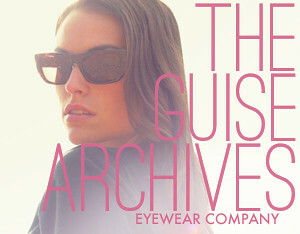 We want to make sure we're forever cognizant of our greater mission. Baby2Baby inspires us and we're grateful for that. GGC: Do you involve your kids in your charitable work? Do you have advice for families who are looking for something charitable to do together? How does one go about talking to their kids about charity? Jessica: Charity is a very tough thing to articulate to children - trying to explain to them why they have "more" is something that has to be dealt with delicately but I think in this day of senseless consumption, it's important to set an example for our children and to teach them how to share and give. I tell my daughter, Honor, "Hey! 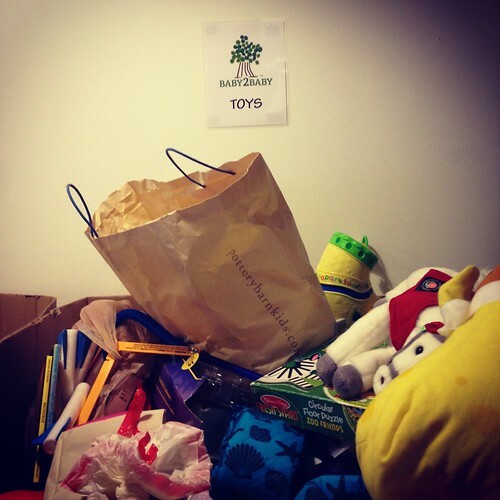 Let's go through your toys and find some things to give away." We talk about giving toys a new life with someone else—like the toys, clothes, and things her older cousin Nea passes down to her. She loves that connection with her cousin whom she looks up to. We talk about sharing what we have with others. I think a great way to introduce young children to charitable life is to model the importance of recycling, reusing, passing things down and up to other people. Toy Story was really helpful in getting the charitable dialogue going, actually -- the idea that something can start a new life with someone else. That giving brings joy to others. One of Honest's goals in 2013 is to give every member the opportunity to bring joy to others by shaping how The Honest Company gives back. For example, would you prefer your money went to support environmental causes? Charities to benefit the homeless? 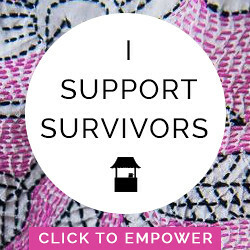 Support international relief organizations? Leave a comment letting Honest know what charitable causes are close to your heart and based on your recommendations, Honest will be choosing their expanded causes for 2013. Thank you all in advance for participating in Honest's call to action. I love this company and it's been an honor and a privilege working with them these past few months. UPDATE: Congrats to Elena for winning the gift card and thank you so much for your insight in the comments. Will keep you all posted with Honest's chosen charities. Much love and thanks again! I'd love to see Honest work with social services to aid children who enter the foster system with few material resources. Oftentimes, these children arrive at a new foster home with nothing more than a backpack of used clothing. Foster families aren't always prepared to receive children in diapers and some will refuse placement if the child isn't potty-trained due to the additional expense that a subsidy only partially covers. I absolutely love Jessica's philosophy and ideals on teaching our babies the importance of giving back and having a charitable spirit! We, too, go through our daughters toys (Paisley, 4, Amery, 1) and tell them we're giving them to kiddos who don't have many toys. Paisley knows sometimes people need help and thats ok. We're a little more blunt about things, LOL. So nice to here about this kind of work! My family has been involved in a local organization called, Good News Mission here in Indy since I was young. Their men's shelter, free clinic, youth center, and family shelter are just a few of their community outreaches. May God bless you in all the work that you do! What a blessing to people in need especially babies. Thank you for all that you do and strive for, it is truly amazing and inspirational. I would love to see Honest work with struggling military families and veterans. Many active military families live under poverty level, I know because I lived it for 7 years. Active or discharged, transitioning to civilian life is hard and scary. All benefits of medical are seized and finding a job to somewhat survive is a battle in itself. Disabled and injured soldiers with families are seemed to be forgotten about as soon as the discharge papers are cleared, and it is not just them, but a family they supported solely. It would be the most heartwarming act...to see a selfless soldier and spouse receive basic items that we (very blessed people) take for granted everyday. Thank you for being there for people that are in need . Not only are they greatful they have someone to help them lie life happily but they ard greatful there are such beautiful and generous souls in this world. If we all help a little, together we help a lot. I love the giving, cooperative philosophy. I would also like to see more support for veterans just getting out of the armed forces. Before I meet my husband, he served in the first gulf war. When he got out, he was homeless and slept in the houses he was working construction on, until a wonderful gay couple took him in and had him help with their remodel. No veteran should ever be homeless! We need to take care of those who fought for us. I'm glad I had picked up the Healthy Child Healthy Families book. I'm having my first child; it is actually overwhelming to find out there are things out there that may be harmful to child that is yet to be born. I have no guidance whatsoever from anyone. I guess it is a mom instinct to find what is best for your child, which got me doing researches for safer for baby and safer for the environment. So, throughout this pregnancy I have been going Eco-friendly mode. It's definitely changing my lifestyle and my love ones. 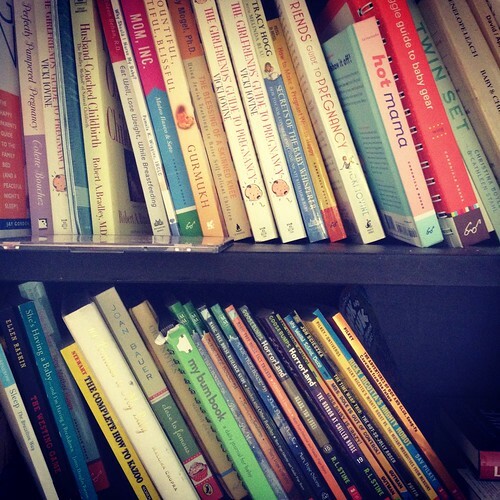 I have found Baby2Baby in the book, but sadly such great organization is located so far. I wished they had one here in Sacramento, CA. I know a lot people who try to find information where they can donate instead of creating waste for mother earth. Yet, it is hard to not have any information within your city or an honest organization to work with. I have a lot of friends and families that don't know what to do with their gently used babies items. They would love to donate, but it is a matter of where and who. I'm glad Honest has collaborated with Baby2Baby. 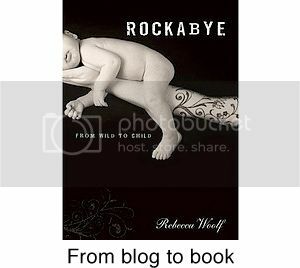 I do hope Baby2Baby can expand to Northern California. 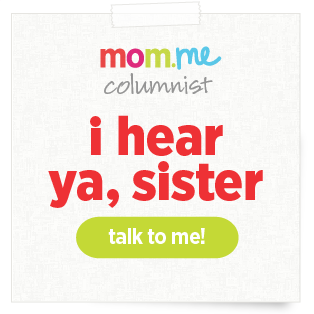 It gives a chance for passionate new mommys to contribute. How can we extend ggc to san diego. I would love to be involved. We love the Honest Company for their product and their values!